There are three major types of seawater cultured pearls; Akoya, Tahitian and South Sea. 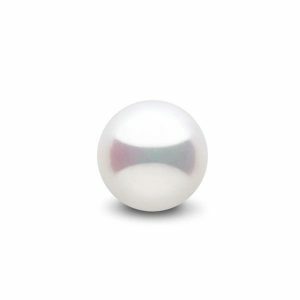 These pearls account for approximately 5% of the total weight of global pearl production. Although they share many of the same characteristics, they can look vastly different as each pearl is sourced from a different species of oyster. These oceanic oysters typically grow only one pearl at a time. Even with cultivation practices, South Sea pearls are incredibly rare. By way of comparison, the weight of diamond production each year is about 10 times greater than the weight of the annual Australian South Sea Pearls harvest. For nearly 100 years, Akoya pearls grown off the coast of Japan have been the classic pearl of choice. They are best known for their perfectly round shape and sharp, reflective lustre – when you think of the perfect strand of white pearls, these would be Akoya. Most Akoya pearls size from 4 to 10 mm. 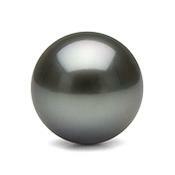 Grown in French Polynesia, they are naturally dark pearls. Often thought of as black, they actually come in a range of exotic colours. Tahitian pearls are rarely round but come in drop, baroque and oval shape. Most Tahitian pearls range from 8 mm to 15 mm. The Royals Royce of pearls, the South Sea pearls are grown primarily in Australia, the Philippines and Indonesia. They range in colour from white to gold and the largest of seawater pearls. It is due to their size, perfect roundness and that they are extremely rare which makes them so valuable. They also come in drop, baroque and oval shape, all considered extremely valuable. Sizes range from 8 mm to 18 mm. Freshwater pearls account for approximately 95% of total global pearl production but are much less valuable than saltwater pearls. China produces the overwhelming majority of freshwater pearls in pearl farms that may range from a farmer’s fishpond to massive lakes filled with over a million mussels. A single freshwater mussel will typically produce between 30 and 50 pearls at a time. As the most affordable pearls sold today, freshwater pearls are known for baroque shapes, white, pastel body colour and soft lustre. Sizes range from 5 mm to 12 mm, but recent advances have led to the development in some as large as 20 mm.